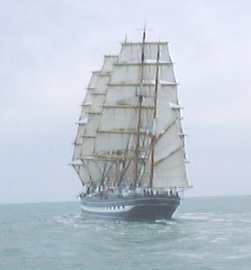 This was the day the Tall Ships departed Southampton to prepare for the Start of the Race in two days time. 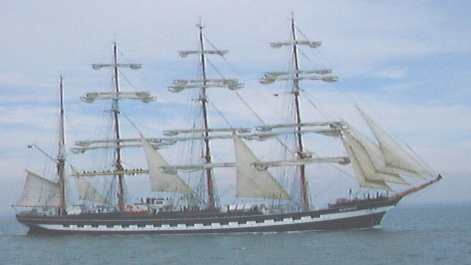 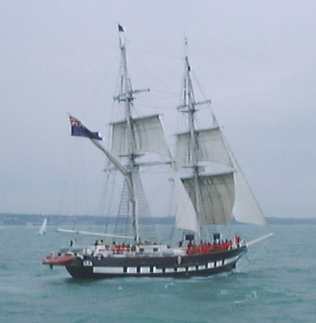 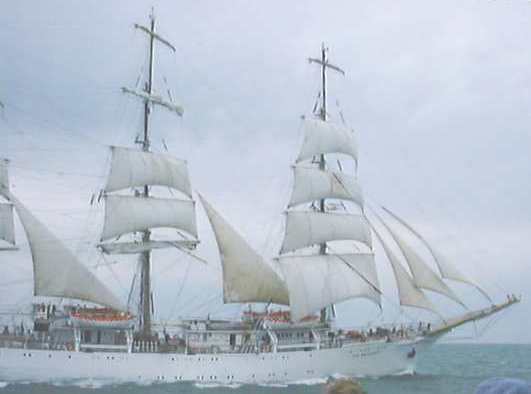 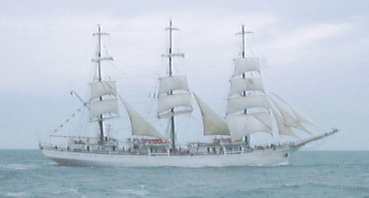 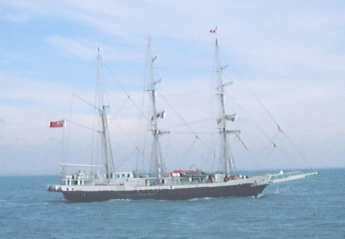 The LORD NELSON, designed to include disabled people in her crew. 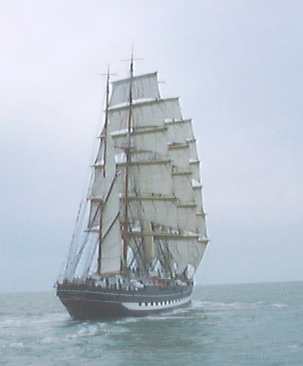 Sails set, she sped away to the south. 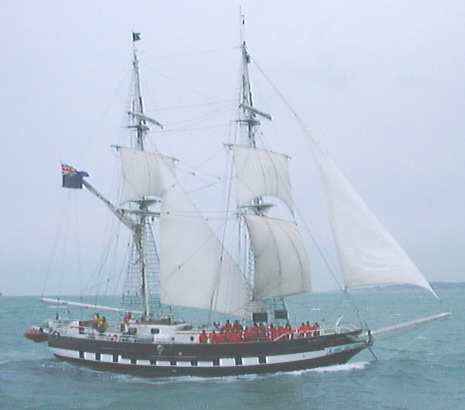 Cheers were exchanged with her young crew, dressed in the red heavy weather gear. 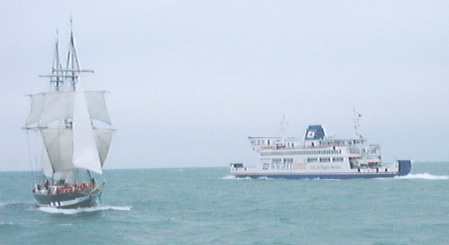 The BALMORAL slips out of Portsmouth Harbour into the gathering gloom.